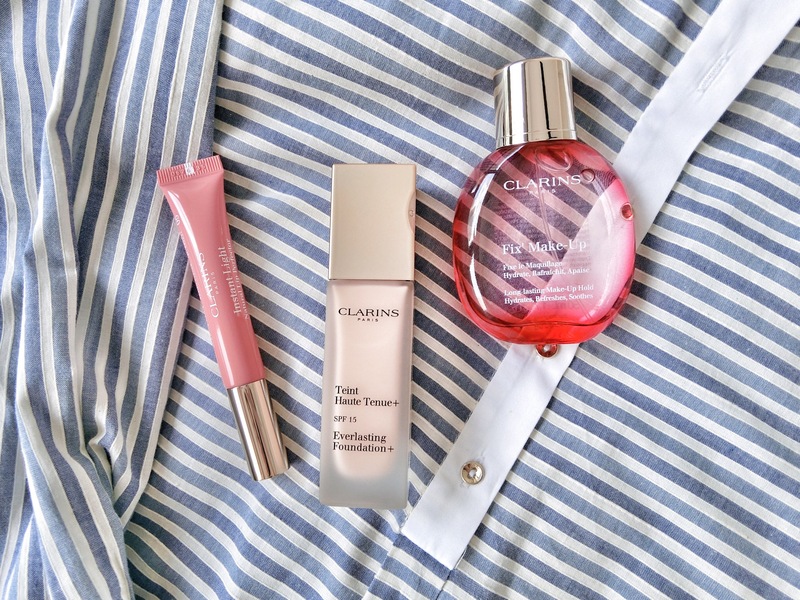 Our must-haves from Clarins’ make-up collection. Everlasting Foundation+ with SPF15: The 107 Beige shade with pink undertones perfectly blends with my natural skin tone, which is relatively fair with yellow undertones. This foundation provides medium to full coverage, with a satin-matte, long-lasting finish. It also contains organic quinoa extract. Fix’ Make-Up: Spritz this on to set make-up for an extra long-lasting hold. Blended with organic rose water, aloe vera, and grapefruit extract. Can also be used to refresh skin in the middle of the day. Instant Light Natural Lip Perfector: A luxe lip balm that gently exfoliates, plumps, moisturises, and protects. Made with shea butter. Supra Volume Mascara: For lush, dark, longer and curled lashes; even lifts poker straight lashes. Does not get clumpy even with multiple coatings; long-lasting effect. Clarins is a pretty good high end brand that focuses on quality products. I’m excited to try this stuff out! Following your blog to keep up with your future posts!